The idea of buying any property abroad is exciting. But there’s nothing more exotic, romantic, and exciting than the idea of living on your own private island. In a way, you’ll feel like a pioneer no matter where you purchase abroad. But on an island—especially a private island—that feeling is amplified tenfold. For hundreds of years, only the super-wealthy entertained the idea of owning a private island. And in most of the world today, owning a tropical island is still prohibitively expensive for most of us. 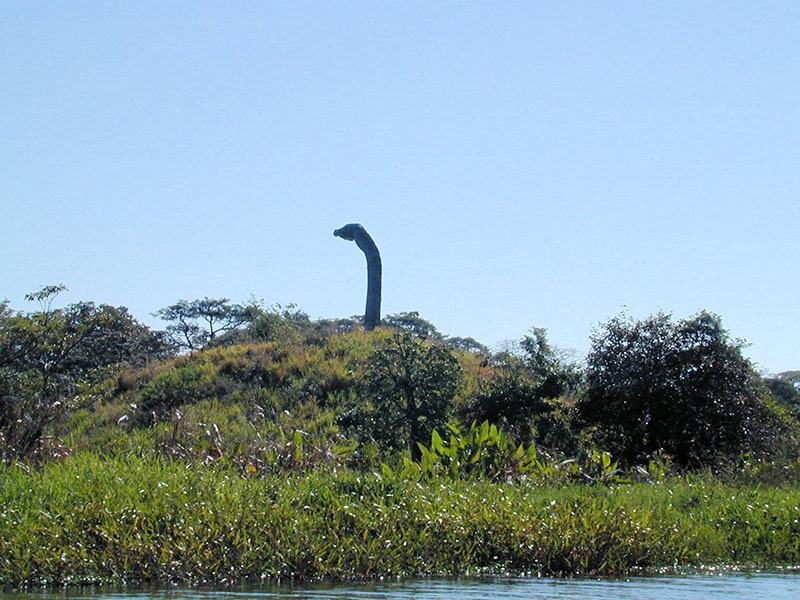 It’s in a small island group known as Las Isletas, near the colonial city of Granada, Nicaragua. 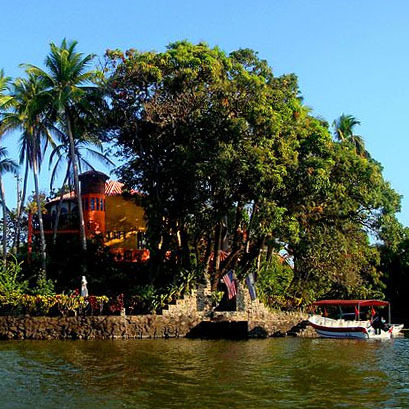 Las Isletas is a group of tiny islands located in the giant Lake Nicaragua. They’re adjacent to the historic colonial city of Granada, and about 45 minutes from the airport in Managua. Las Isletas is actually an archipelago consisting of 365 islands, which was formed when the nearby volcano Mombacho erupted in prehistoric times and blew much of its cone into the lake. 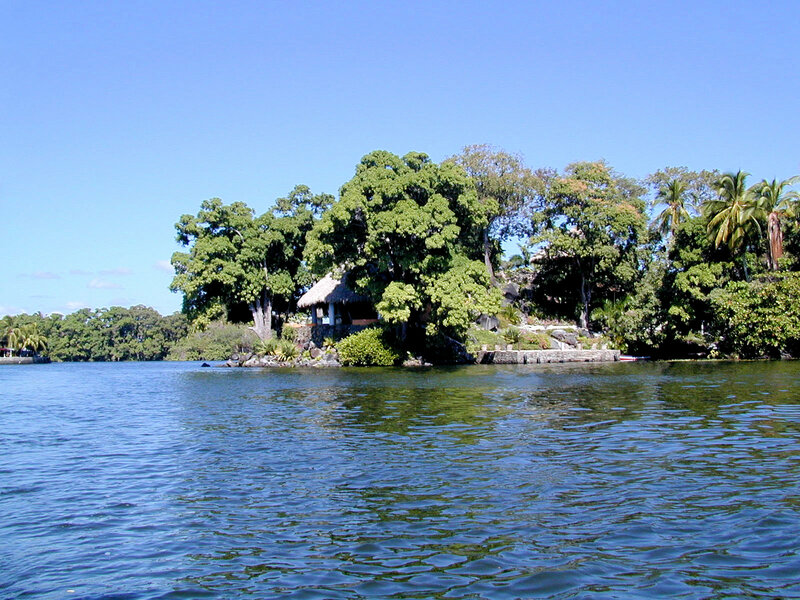 Lake Nicaragua is one of the world’s largest freshwater lakes. It’s about 102 miles long and 45 miles wide at it widest point. As you stand on the shore, all you can see is the blue horizon in the distance, as if you were standing at the ocean’s edge. Lake Nicaragua is also known as Cocibolca, its name in the local indigenous language. Despite being so close to shore, you’ll find a unique subculture among the islands. 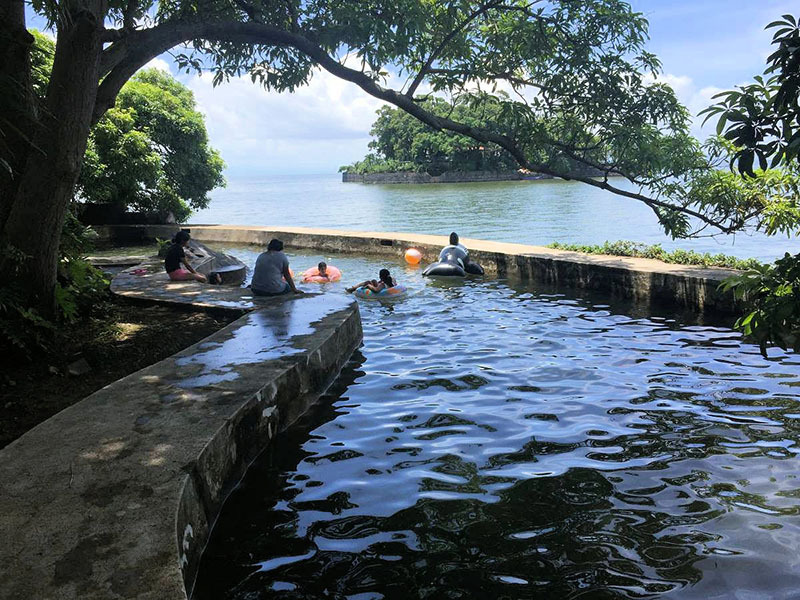 Because the school and the cemetery, as well as restaurants and bars, are all on different islands, you’ll see locals and expats commuting in rowboats or by hitching rides from the tour boats. You’ll often see local fishermen in dugouts throwing their nets to take their share of the lake’s abundant fish. As an expat, you won’t be alone in Las Isletas. You’ll not only be in the company of families of wealthy Nicaraguans who’ve known about the islands for a long time, but also a fair number of North American expats; both those who live on their island, as well as some who have homes in Granada and use their island as a vacation home or weekend getaway. Some of the islands have no improvements at all…while others have beautiful homes with pools, tennis courts, and all the amenities of a luxury setting. Las Isletas offer a few special advantages over other islands located in the ocean. As you’re actually on an inland, freshwater lake, you don’t have to worry about the tides, hurricanes, complete isolation, or other natural hazards that go along with open-water island dwelling. And because the islands are not far from shore, many of them have excellent views of historic Granada… yet they’re far enough away so that you still enjoy the feeling of privacy that comes with private-island living. Many islands also have views of mountains, volcanoes, and, of course, the expansive lake with its other islands. But perhaps the biggest advantage is that you’re just offshore from Granada, one of the oldest Spanish colonial cities in our hemisphere. As you stroll through its clean streets and marvel at the beautifully restored colonial homes, you’ll be surprised at the facilities here, including well-stocked supermarkets and a broad selection of fine restaurants, along with local open-air markets and tiny shops. Las Isletas are noted for their lush vegetation and abundant birdlife, with egrets, cormorants, ospreys, kingfishers, flycatchers, parrots, and parakeets. And I enjoyed watching the frolicking white-faced monkeys… as much as they seemed to enjoy watching me. Many of the islands enjoy access to electricity. Water—perhaps the biggest challenge for offshore island-dwellers—is also not an issue here, as many people simply filter the lake waters or install a freshwater well. Of course there are disadvantages to living on Las Isletas, too. One is that some of the islands are fairly close together, so it’s not as private as you might picture when you conjure the image of living out in the ocean somewhere. Also—and this probably goes without saying—island living is nowhere near as convenient as living in Granada. You can’t just pop around the corner for a loaf of bread… you need to get into your boat (or call the water taxi) before you head to the public docks in town, where your car will be parked… if you have one. I first visited Las Isletas in 2004, and have followed this unusual real estate market ever since. On some islands, the increase in prices has been dramatic, mostly due to the improvements made by the owners. On the other hand, the price of unimproved islands has grown steadily… but modestly. For example, I went to see a pair of islands named Las Gemelas (The Twins) in 2004. They were listed for $130,000 at the time. Today, Las Gemelas are for sale again (listed by RE/MAX in Granada) for $175,000. That’s a 34% increase… but it’s over 13 years, so the annual increase is only 2.7% per year. In other words, you don’t have to fly down to Nicaragua this afternoon to get in on today’s prices for unimproved islands. But that doesn’t mean nothing’s happening. Things are changing on Las Isletas. Over the past 10 years, a total of six hotels have been built on the islands. One such hotel—Jicaro Island Lodge—cost over $1.2 million, and they offer rooms for more than 400 bucks a night. So it’s a first-rate operation. This uptick in commercial activity, along with Nicaragua’s overall increase in tourism, has brought more folks to Las Isletas to enjoy sailing, diving, kayaking, and other outdoor activities. Las Isletas are finally being recognized for their unique value, and I expect prices to rise at a better rate than they have in the past. Even so, I wouldn’t buy here to earn a quick buck in the near term. Buy here instead to enjoy the island lifestyle at a price that you won’t find anywhere else in the world. Note that land in Nicaragua is often measured in square varas. The vara differs from one country to the next, and in Nicaragua it measures 33.057 inches. The island market here starts at $60k. For that asking price, you’ll get a small island of 500 square meters (the size of a 5,400-square-foot lot) with electricity and water. It will have a level area where you can build a cabin or day-use area. Otherwise, here are a few examples of islands on the market today. Remember, sales prices are often far less than the asking price. For an asking price of $80,000, I found a small island of 750 square meters with a cottage just 10 minutes from the Granada port by boat. Another island has just under a quarter-acre (1,000 square meters) with a good electricity supply and a clean title. The island belongs to a friend of mine, Jeff Cassel (developer of Vistalagos, where I own a property). He has just completed a rock seawall all around the island at a cost of $30k. This is the most difficult of island improvements, with respect to cost and permits. His asking price is $89,000. Write to Jeff directly here. 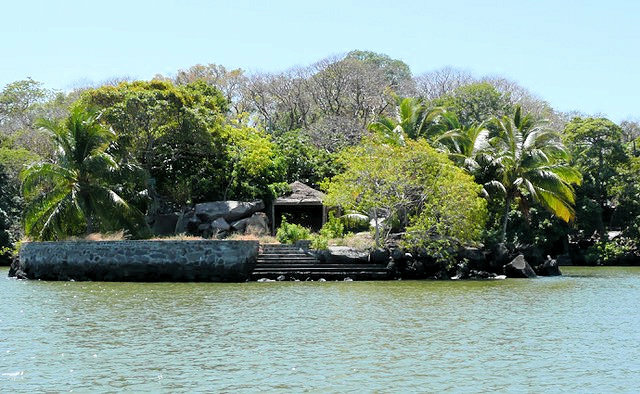 For just $120,000, you can buy an island of slightly under an acre (3,525 square meters). It has water and electricity, including its own transformer. You’ll also find a cottage on the property, currently used by the caretaker. As I mentioned earlier, Las Gemelas (the twins) are up for sale again. It’s your chance to get two islands, about 20 feet apart (connected by a bridge), for the asking price of $175,000. The islands are of roughly equal size and total 0.8 acres (3,233 square meters). If you’d like an improved island, I found one of 0.67 acres (2,717 square meters), nicely landscaped, with a three-bedroom, three-bath home… as well as a two-bedroom caretaker’s cottage. The entertainment area has a separate kitchen to service the swimming pool. The asking price is $415,000. Contact Alberto Chamorro on +505 8470-7567 or +505 8837-8475 for this property. He’ll answer any questions you have, and will use his boat to take you out for a tour when you’re ready. I also saw a large island (1.6 acres, or 6,500 meters) with a large home of 4,730 square feet (440 square meters). It comes with five bedrooms and five baths and a large terrace. It’s been specially outfitted for long stays or full-time living. The asking price is $650k. Islands with houses or cottages have been appreciating faster than unimproved islands, so if you want to add value in the near term, you can do some landscaping or build something on your island. If you’ve ever dreamed of owning a private tropical island, you owe it to yourself to look here first. You’ll have the romance and privacy of island ownership, along with the all the charm of one of the best colonial cities in the Americas. Letters To The EditorThese are great reports you do. And based on my suggestion to read your reports, a friend bought property in Nicaragua several years ago promoted by your publisher! I was wondering… What would you suggest as the best areas to explore that also offer great beaches for surfing? 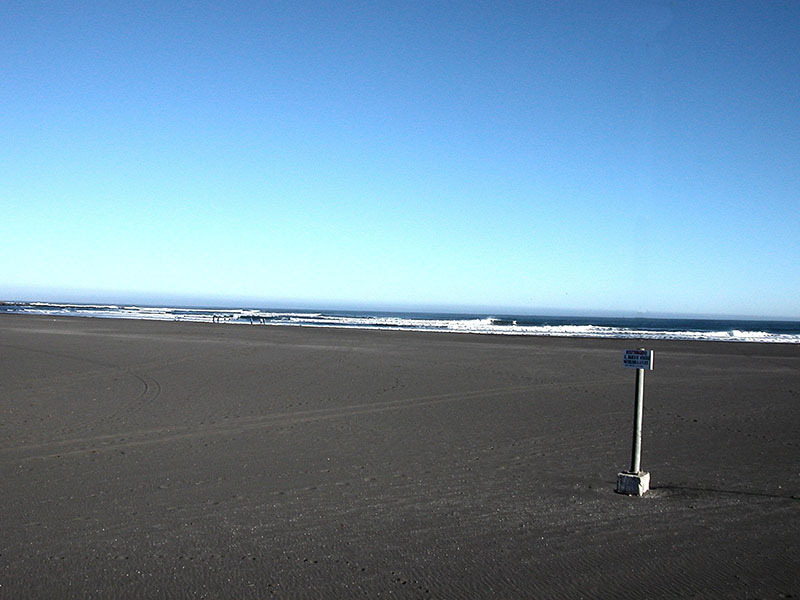 The best surfing I’ve ever seen was in Pichilemú, Chile. It’s not close (and the water is really cold), but I’ve watched surfers go hundreds of yards on that break. Also, the central coast of Nicaragua is popular with expat surfers, as is the Pacific coast of Panama. A friend of mine retired to the western side of the Azuero Peninsula, for the express purpose of surfing. In Europe, both Lagos and Sagres get good marks, in Portugal’s Algarve region. I will be retiring in August of this year and have been thinking seriously about moving overseas. I just read your article about planned communities and am considering this type of lifestyle. The biggest problem for me is finding a community that is “pet friendly.” I have three dogs and two cats. Along with finding the right community, I must pick a place that has good quality vet care within a 30-minute drive from my home. Although I am open to all possibilities, I am leaning towards Belize. I think the first part of the issue—finding a community that allows your pets—is the easy part in Latin America. I always ask about pet regulations when I look at condos and projects, and I’ve found pet restrictions to be fairly unusual. You’ll see them more in Mexico than in most of the region, but even there, communities tend to regulate noise rather than animals… so well-behaved pets are OK. But always check the homeowner association rules before buying. Real estate agents and developers will be quick to tell you “no problem”… but make sure you see it in writing. Veterinary care will be harder to manage. You’ll need to check with fellow expats to see how the care is. I saw abysmal care in Ecuador 15 years ago, but had a super vet in Uruguay. In Third World countries (like Belize) good care will be harder to come by, so be sure to check with pet owners. Do you have any info on first renting (and eventually buying) a property in Spain, Portugal, or any South American country? I want a place where the health facilities are good. Your advice would be highly appreciated. The problem is we do not speak Spanish, although we’re more than willing to learn. Actually, we have nothing but information on buying property abroad (including renting first), with good resources for those locations. Check the website at LiveAndInvestOverseas.com, and you’ll find a good selection of products and in-country events. As to learning to speak Spanish, don’t be put off by that. I flunked high school French, so I’m no language wiz… but I learned to speak both Spanish and Portuguese after the age of 50. Study what you can ahead of time, and then sign up for language classes when you get there.